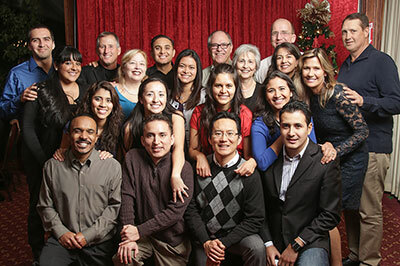 Lifeway Church began in 1989 as the Central Region of the Los Angeles Church of Christ with a dream of being and building Jesus' church according to the Scriptures. Since that time we have grown from a handful of Christians to an attendance of around 1,000 every Sunday. We have sent out many of our members to start or strengthen sister congregations throughout the United States and abroad. Our congregation is quite diverse in age, race, and socio-economic background, yet is unified by the Spirit of God. We are committed to serving God, loving one another, and reaching the world around us with Christ's message. We are in fellowship with the International Churches of Christ and a ministry of the Los Angeles Church of Christ. We support benevolent works around the world through HOPE worldwide and missionary churches throughout Eurasia and the Baltic/Nordic region. Every Sunday at 10am we meet at our different locations for our worship gathering. There you will find warm fellowship, stirring music, a dynamic children's program and relevant messages from God's Word. Dress is casual and everyone is welcome. We also have a multitude of other spiritual, relational, and inspirational activities throughout the LA metro area and San Gabriel Valley. Look through our various ministry pages and calendar of upcoming events for more information. Please contact one of our ministry staff members with any questions or comments you may have with the "Contact Us" tab at the top of the page.